"Sampath Speaking" - the thoughts of an Insurer from Thiruvallikkeni: Bulova watch worn by US Astronaut David Scott fetches astronomical £1 million. 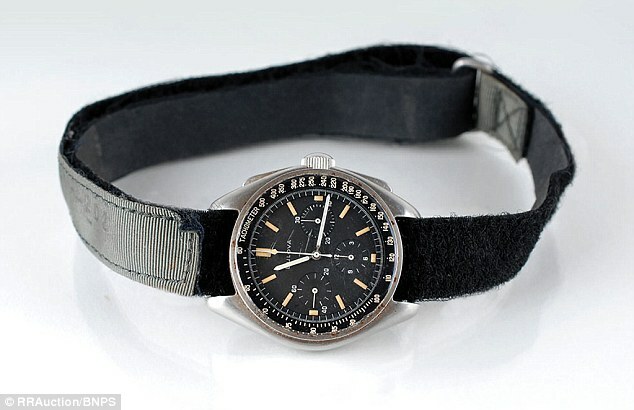 Bulova watch worn by US Astronaut David Scott fetches astronomical £1 million. Do you know that in mechanical watches – the no. of jewels determined its value. They were not ornament jewels – but plain bearing made of synthetic sapphire, press-fitted into a hole. They were used to increase the precision in watches. Apollo 15 was the 9th manned mission of United States Apollo programme, 4th to land on the moon and the first mission involving Lunar roving vehicle. In 1971, Commander David Scott, James Irwin spent 3 days on the moon. Alfred Worde orbited the moon. 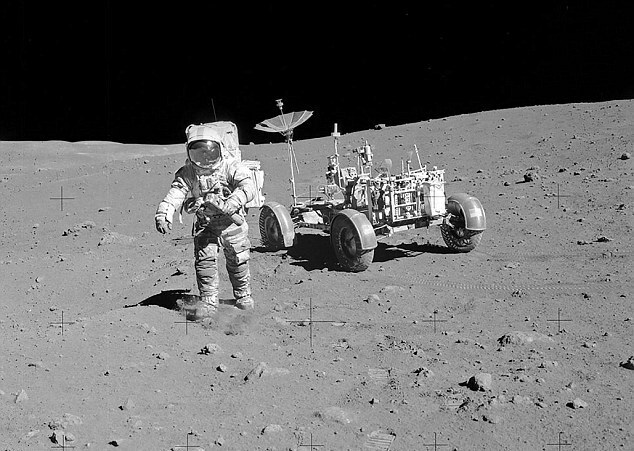 The crew explored the area using the lunar rover, which allowed them to travel much farther than the Lunar Module. They collected 77 kgs of lunar surface material. In Economics, there is a theory of value based on utility ~ food, water are essentials and their commanding price is understandable – not so, in the case of Gold and jewellery. Their value is more of status symbols and less proportionate to their utility. Moot case is that of writing instruments ~ it is what is written that determines its value – not ‘with what they were written’; yet there are pens costing even a lakh of Rupees or more. Diamonds, platinum, fancy tourbillons, chronographs, perpetual calendars are some of the features that luxury watches have in common. In Horology, tourbillon, is an addition to the mechanics of watch escapement. Developed around 1795 and patented by Abraham Louis Breguet, it aims to counter the effects of gravity by mounting the escapement and balance wheel in a rotating cage, to negate the effect of gravity. Watches have lost their pre-eminence over a period of time or so, one thought. Some old watches do sell for high value – as antiques. It may have a scruffy Velcro and cloth strap, but the only privately-owned watch has reportedly been sold at auction for £1 million. Wonder struck…… .. .. it is no ordinary watch – the Bulova watch was worn by US astronaut Colonel Dave Scott during the 1971 Apollo 15 mission ~ ~ ~ and the timepiece still has 'residual lunar material' or moondust on its face. MailOnline reports that the only privately-owned watch to be worn on the moon has fetched an astronomical price of £1 million. The Bulova watch was worn by US astronaut Colonel Dave Scott during the 1971 Apollo 15 mission; Scott wore his own watch over his astronaut’s suit during the mission, after his Nasa-issue Omega watch stopped working.It proved vital in informing the astronauts on the moonwalks when to return to the lunar module. The aim of that Apollo mission was to explore Hadley Rille, a channel in the Hadley-Apennine region, and collect rocks.Scott clocked up a whopping 546 hours in space across three missions - Gemini 8, Apollo 9 and Apollo 15.The timepiece still has 'residual lunar material' or moon dust on its face ! Scott became the seventh man to walk on the moon and the first astronaut to operate the Lunar Rover on the moon's surface. Of the 12 astronauts to have ever set foot on the moon, Scott was the only one not to wear an Omega watch - which are still considered government property - whereas the Bulova watch was handed back to him.Consequently it is the only one in private hands, which is what makes it so valuable.The unique watch was snapped up for $1.3 million (£840,000) at a sale held by RR Auction, in Boston, Massachusetts, but cost the unnamed bidder $1.6 million (£1million) once fees were added. David Scott was born in 1932 and is a retired US Air Force officer former test pilot and Nasa astronaut.He made his first flight into pace as a pilot of the Gemini 8 mission, along with Neil Armstrong in 1966, spending just under eleven hours in low Earth orbit.He then spent ten days in orbit as Command Module Pilot aboard Apollo 9.Scott made his third and final flight into space as commander of the Apollo 15 mission between July 26 and August 7, 1971 - the fourth human lunar landing.He became the seventh person to walk on the Moon and the first person to drive on the Moon. The lunar module, Falcon, remained on the surface of the moon for 66 hours and 54 minutes, setting a new record for lunar surface stay time. Both Scott and Irwin logged 18 hours and 35 minutes each in ‘extravehicular activities’ conducted on three separate trips to the moon’s surface.They used Rover-1 to transport themselves and their equipment along portions of Hadley Rille and the Apennine Mountains, in order to survey of the area and collect 180 lbs (82kg) of rock. Their activities were televised using a TV camera operated remotely by Mission Control in Houston, Texas.In a letter sold with the watch, Scott, who is now 83, said: ‘The Bulova Lunar EVA (Wrist) Chronograph and attached Velcro wrist strap was worn by me on the lunar surface during the third EVA of Apollo 15, and then in lunar orbit and return to Earth.‘The primary use of the wrist chronograph on the surface of the Moon was to track the elapsed time of consumables use (oxygen, water, and battery) in the Portable Life Support System (PLSS) backpack.‘Time is of the essence during human lunar expeditions - and exploration time on the surface is limited by the oxygen and water (for cooling) we can carry in our backpacks. ‘Knowledge of precise time remaining was essential - as a backup to the standard issued Omega chronograph, I carried and used a Bulova chronograph on the lunar surface.’The letter explains that Nasa post-flight personal collected all the equipment on board the craft used in the mission, but gave the Bulova back to Scott. Less than one month ago, around 10,000 photographs from Nasa's moon missions have been uploaded toFlickr in high resolution, and offer a fresh look at the lunar landings. The first manned mission to the moon was Apollo 8, which circled around the moon on Christmas Eve in 1968, but it was the moment Neil Armstrong became the first man to walk on the surface of the moon on July 20, 1969, that was Nasa's crowning achievement. Sure, the watch has great significance – worn in moon and has moon dust – yet, a watch, primarily is used for seeing time !